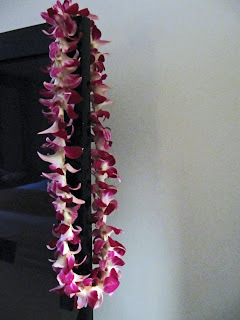 Our hotel, Hotel Renew, is only about a half block from Waikiki beach. It's a nice, small boutique hotel. It's modern and Zen and crisp. I like it a lot. The location is fantastic. 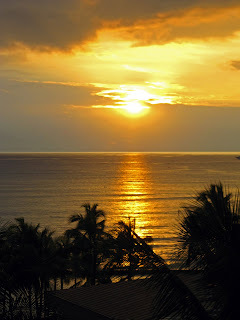 We are, I gather, at the Diamond Head end of the beach. We had lunch at the Tiki Grill. The food was good but the pisco sour was divine! 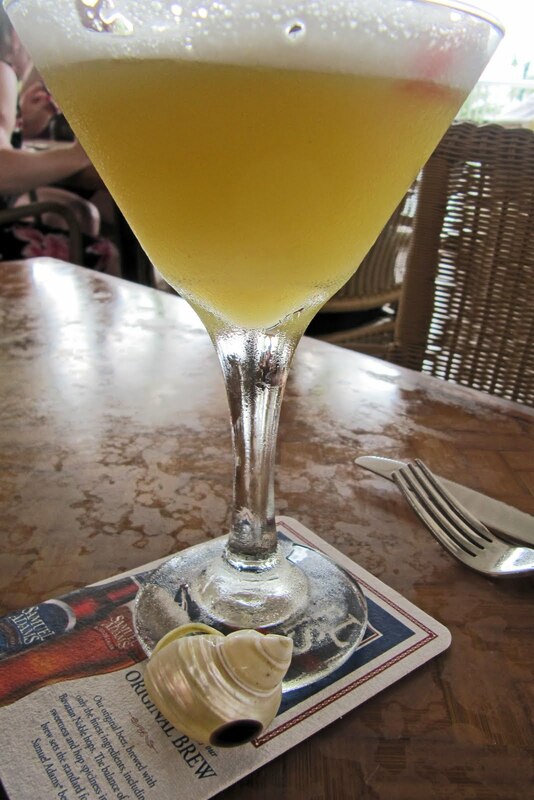 Nonie and I fell in love with pisco sours when we were in Peru and it is not often we find them on a drinks menu. 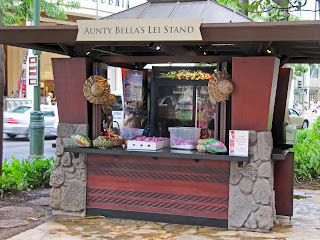 Auntie Bella's Lei Shop....one way to know you've arrived in Hawaii! 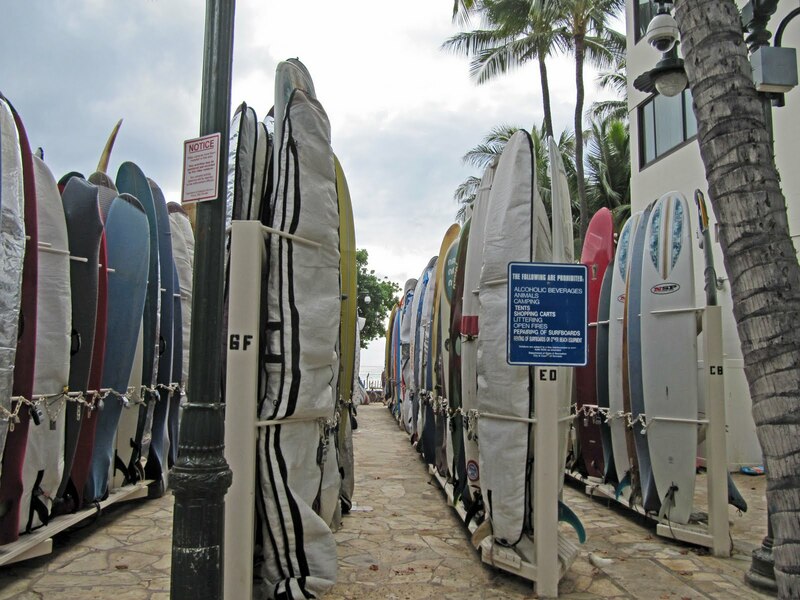 And just in case the lei shop wasn't a big enough clue, the surf board lock up along the Waikiki beach would be a dead give away. I've seen ski lockups before, but never one for surf boards. Sounds like a good start to an exciting holiday probably a bit warmer too. WOW! That ring looks looped! So happy you're there and warm. The sun is out today, but it's chilly.